Do you like Bridesmaids War? Share it with your friends. 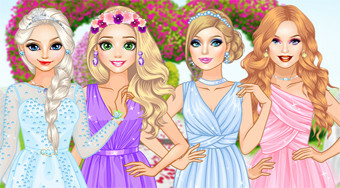 Make Barbie, Elsa, Cinderella and Rapunzel the most beautiful bridesmaids for the wedding of their friend Anna.